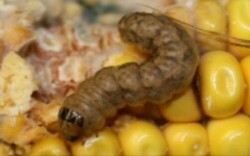 Not sure about which insects your Bt trait is rated to control? Have questions about what refuge requirement is appropriate for your Bt corn variety? Wondering what herbicide tolerances are associated with different Bt hybrids? Check out the "Handy Bt Trait Table" authored by Chris DiFonzo of Michigan State University and Eileen Cullen of University of Wisconsin.